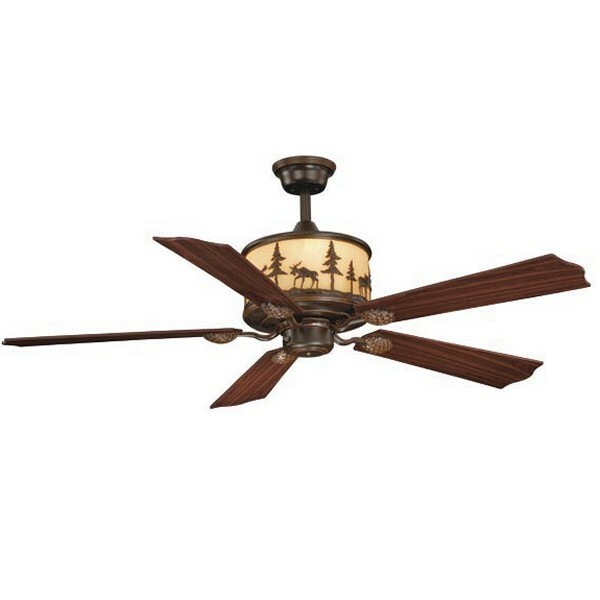 Our yellowstone rustic ceiling fan features a 188mm x 15mm motor and has a rustic Burnished Bronze Finish. Our Yellowstone Ceiling Fan features a 188mm x 15mm motor and has a rustic Burnished Bronze Finish. Reversible Rosewood/Dark Walnut Blades span 52" with a 14 degree pitch. Hand Held Remote and 6" Down rod are included. Four 15 watt bulbs for Housing are included. This fan is light kit adaptable.